Easy to make and goes with almost everything! Try it on pasta, vegetables, chicken, fish, potatoes or even stirred into a soup or as a sandwich spread. We only planted one little basil plant this summer but it has definitely flourished! It is about 3 feet tall right now. I've been experimenting with recipes using basil and decided to make a batch of pesto that you can even freeze to enjoy months later. Even just a little basil adds so much flavor to recipes. 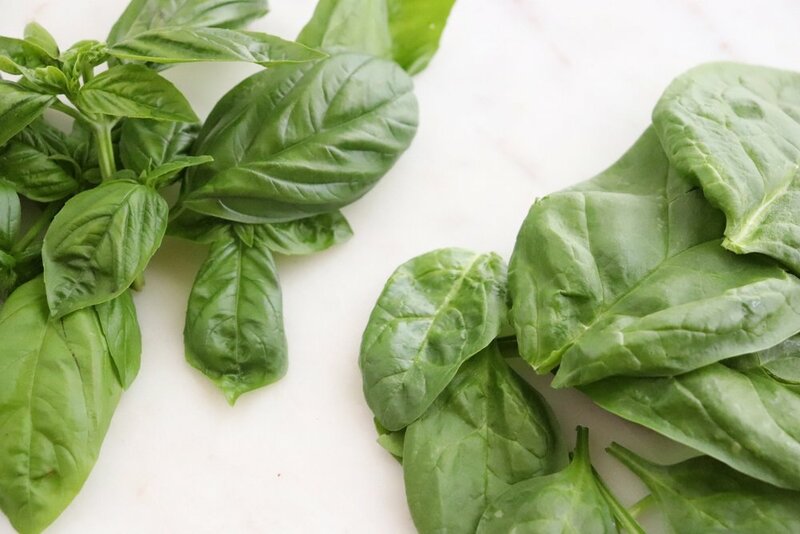 Traditional pesto just uses basil but I like to add some spinach to mellow the flavor somewhat while still keeping the beautiful and vibrant bright green color. Budget-friendly walnuts sub for pine nuts in this recipe too. This is a simple recipe. Put the basil, spinach, toasted walnuts, parmesan cheese, garlic, salt and pepper into a food processor, pulse a few times and then, with the processor running, drizzle in olive oil. Another tip, freeze the extra pesto. 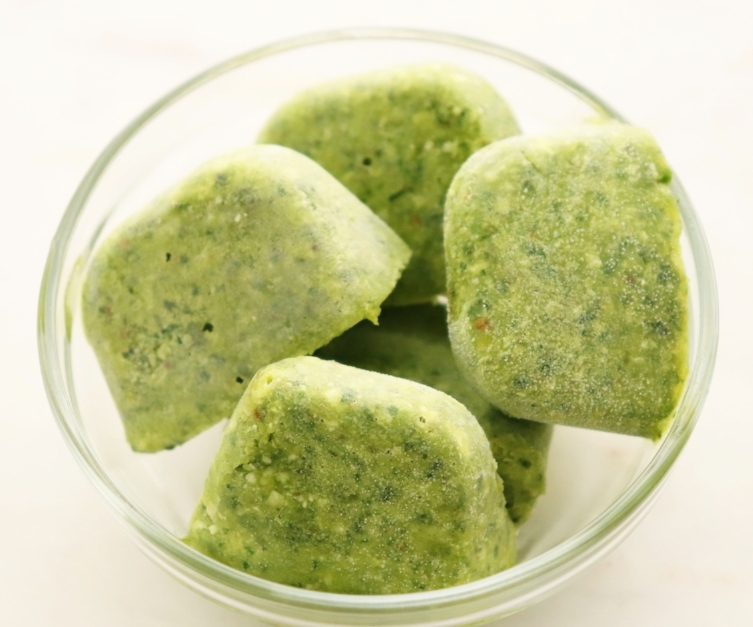 Fill an ice cube tray with pesto, freeze and then place the frozen cubes in a freezer-safe container. To use, just let the pesto thaw and use just like the freshly made. One of my favorite ways to use pesto is to combine it with plain Greek yogurt and toss with cooked and cooled pasta and vegetables for a pesto pasta salad. I’ll sometimes add chopped chicken for protein. This simple dish is perfect for warm summer days when you don’t want to turn on the oven. Leftovers keep well in the refrigerator so you can even make it in advance. Keep this pesto on hand for a number of quick, easy and nutritious meals! Combine basil, spinach, garlic, Parmesan cheese, walnuts, salt and pepper in a food processor. Pulse a few times until minced. With the processor running on low, drizzle in the olive oil and process until the mixture has combined. Store in refrigerator or freezer.